We are offering a wide range of Slotted Self Tapping Threaded Inserts for Aluminium, cast iron, plastics and NF metals. These Slotted Self Tapping Threaded Inserts are available in sizes M2 to M30 and equivalent UNC, UNF and BSW threading. 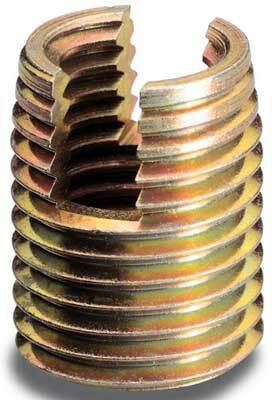 The Slotted Self Tapping Threaded Inserts is available in case hardened yellow chromated steel, and in Brass or Stainless Steel for anti corrosive action.